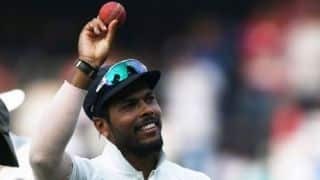 Varun Aaron and Saxena pocketed two apiece to complete the rout as India A walked away with a comfortable 252-run lead. 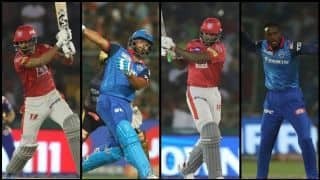 The 14-man squad includes KL Rahul, Shardul Thakur and Varun Aaron. 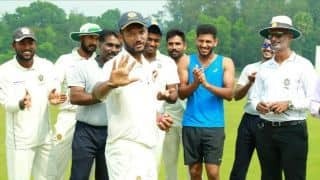 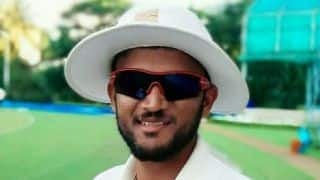 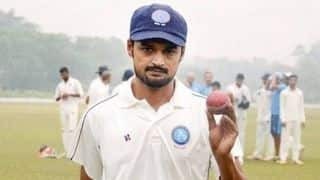 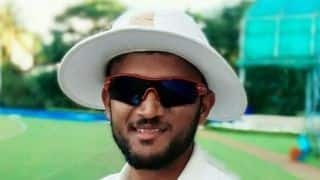 Delhi's season continues to be on the downward spiral after a crushing defeat to Kerala at the St Xavier's College Ground in Thiruvananthapuram. 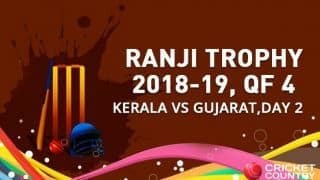 Kerala made a spirited comeback giving Madhya Pradesh a tough fight but it wasn't enough. 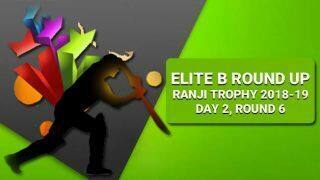 Interestingly, another J&K player, Ravinder Pandit, also achieved it against Services in 1986-87. 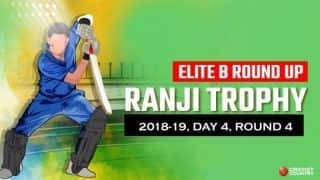 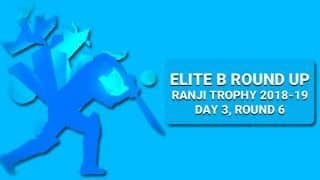 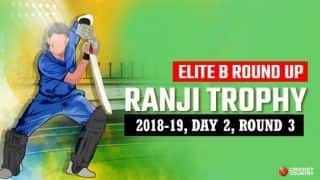 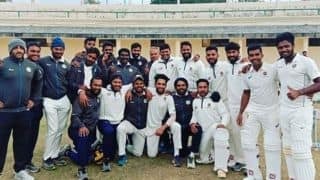 Madhya Pradesh took another step towards securing their first win of the 2018-19 Ranji Trophy season after reducing Kerala to 38/4. 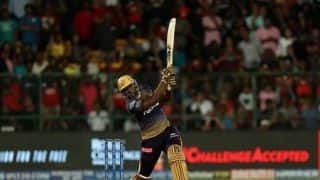 Saxena stood tall in a glittering 143 from 190 balls. 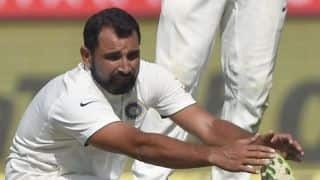 Shami had been cleared by the BCCI to play for Bengal on condition that he would only bowl 15-17 overs per innings. 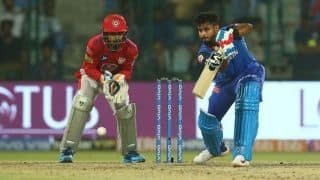 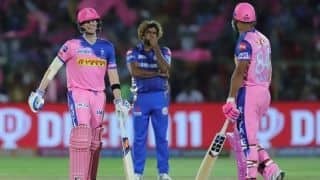 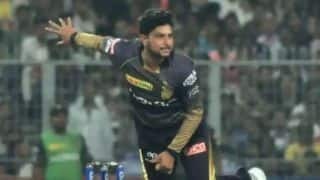 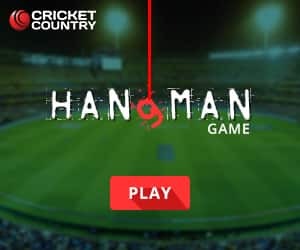 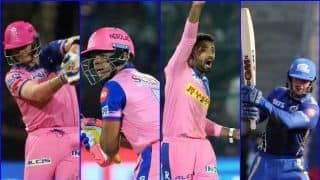 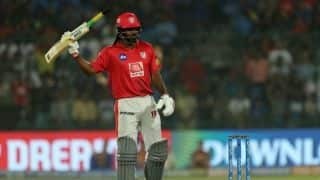 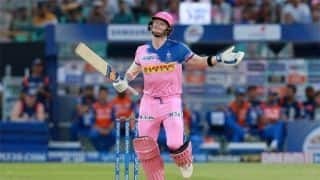 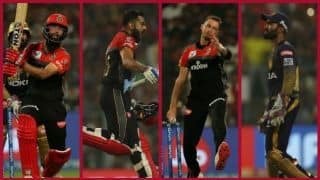 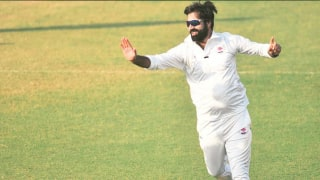 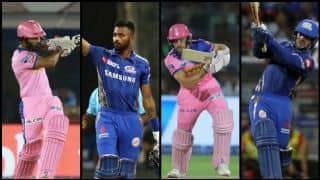 The record-setting allrounder has been part of two IPL franchises - Mumbai Indians and Royal Challengers Bangalore - but has never played a game. 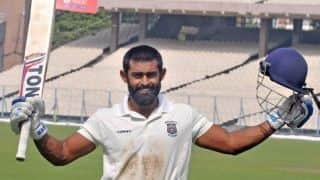 Scoring 133 and claiming nine wickets in a match, including a career-best 8/45 in the second innings, has put Saxena in elite company.